Woof! It’s me, Bambi, the leader of all the dogs here at Serena’s Art Factory. I have seen so much of this factory’s growth. Having only one functioning eye for the last two years, doesn’t change the fact that I can give you the tiniest detail of what has been going on around this creative place that is constantly occupied by people; literally always! So please, do not question the accuracy of my perceptions. I may be old, but I am still wise. 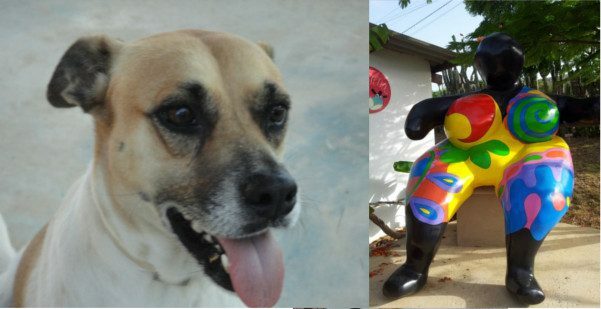 I have been wagging my tail around Serena’s Art Factory since 2009. 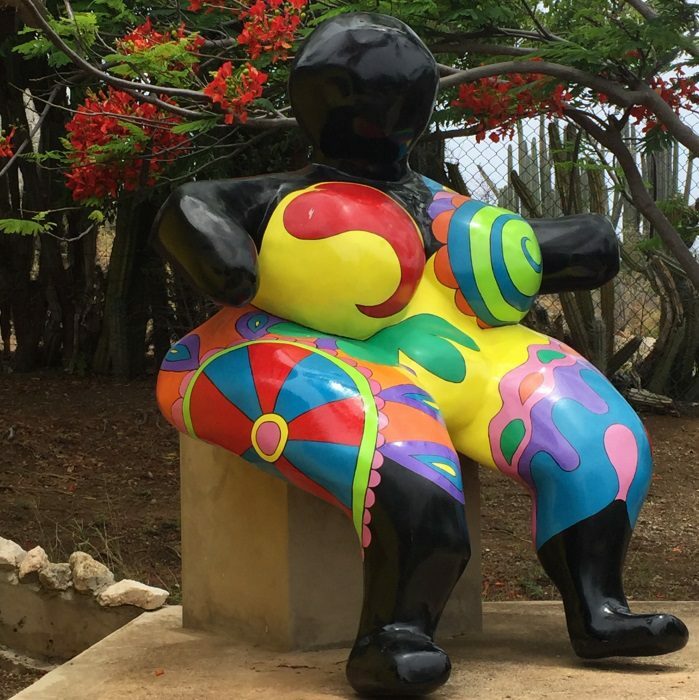 So I can give you the precious insight of the well-known 2x2m Chichi® sculpture displayed in the garden of Serena’s Art Factory. This particular sculpture was built by Chayen’s father, Benoit Clemént, and her mother, Serena, within seven months in 2009. This sculpture was later painted by Serena, and sometimes her colleagues gave her a hand. Take a look at it; it’s like an explosion of colors! No wonder why it’s well-known! Even looking at it with one eye makes my brain feel energized and makes me think back on the adventures this sculpture went through during the time Serena and Benoit worked on it. This famous Chichi® everyone seems to love and admire is a milestone Benoit left for the brand before he passed away due to a sickness in 2011. Serena recently appointed Mervina #8 to paint the limited edition of this Chichi® that is 28cm tall. As much as my belly is often filled with food, this particular chichi® sculpture is filled with love and made with passion. It is a memory for all of us here at Serena’s Art Factory, which is why it is a single piece and not for sale, just like me! Thank you Ben, and I will take this opportunity to thank myself, Bambi, to have been able to experience this entire process and share this memory with you. Well, what a wonderful stroll down memory lane, don’t you think?